You get that phone call, the in-laws are coming over or your friend wants to stop by for a chat….and they will be there in 20 minutes! 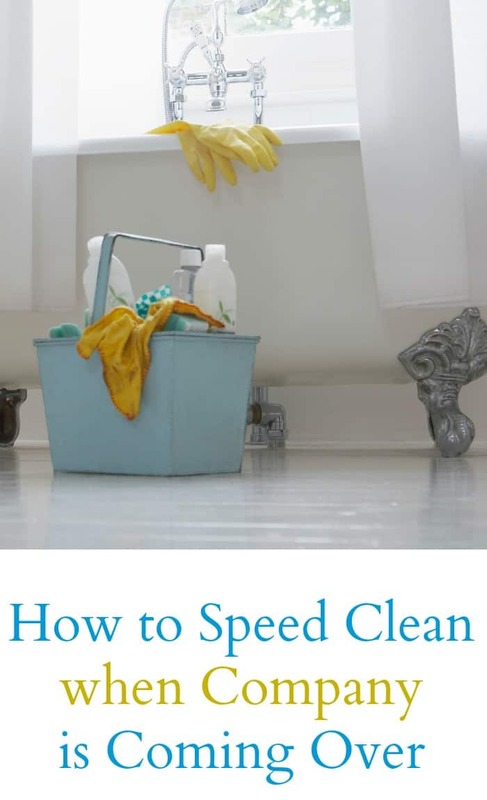 Use these speed cleaning tips for when company is coming over in less than an hour. My house is not Pinterest perfect so I have had to learn how to speed clean when unexpected company is on the way. I have a toddler and two dogs so my house is usually a mess. I try to keep it clean but the clutter is what gets me. There are usually toys on the floor and blankets that need to be put away. I do these quick speed cleaning tips to get my home looking presentable. Remember that this isn’t a deep clean, it’s just to get things looking nice for your guests. They won’t be inspecting your home, they are there to visit with you after all. Just do what you can. The first thing you want to do is grab a laundry basket or trash bag and go through all the rooms where your guests will be. Focus on the living room, kitchen, and main bathroom. Grab all the various clutter, paper, toys, clothes, etc. that may be in these rooms and throw it in the laundry basket. Then stow it away in the garage or a closet that nobody will be opening. Pick up any trash and throw it away as you do this, too. Since this is where you will be spending most of your time, clean this area first. That way if you are really short on time, at least this area will be clean. Fluff the pillows and fold up any throws. Straighten any magazines, books, or remotes that may be out on the table. Dust off any side tables quickly with a dryer sheet or a dust wipe. Wipe off the TV and any entry way mirrors. Put away shoes that may be by the door. Light a candle or turn on a wax melt warmer to get your home smelling fresh. Using a citrus scent makes people think your home is clean. 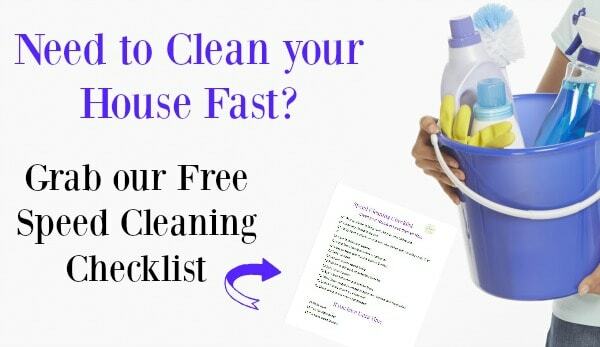 For even more speed cleaning tips, make sure you sign up for my free speed cleaning printable checklist below. 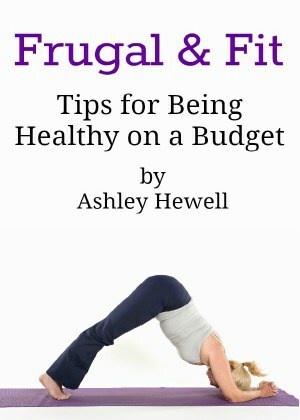 Stick it on your fridge or in a side table drawer to always have on hand. Next, hit the bathroom. Squirt the toilet cleaner in the bowl and let it sit while you do everything else. Take a disinfecting wipe and wipe off the toilet seat. Use another wipe to clean the sink and faucets. Don’t worry about cleaning the shower unless your guests are staying overnight, simply close the shower curtain. Hang up clean towels and make sure there is toilet paper on the roll. Finish cleaning the toilet. If there are any dishes in the sink, put them in the dishwasher. To make your counters look clean, remove any bulky appliances like the toaster, blender, etc. that you aren’t using and put them in the garage. This will allow people more space to put drinks or plates if you are having food. Spray the counters with a cleaner and let it sit. Don’t worry about mopping, just wipe up any spills or scuff marks that you notice. Take a magic eraser and wipe down the front of the fridge, stove, and dishwasher. Wipe off the counter, it should be easy since the cleaner has had time to work. Lastly, vacuum all the rooms. I like doing this last since when I clean the counters, things usually end up falling on the floor. Don’t sweep the bathroom or kitchen, use the vacuum. It’s a lot quicker at picking up stray dirt. After using all of these speed cleaning tips, take a moment to gather yourself so you aren’t frazzled when your guests arrive. Doing the speed cleaning routine above usually takes me about 20-30 minutes unless my house is extremely cluttered. I don’t worry about making or straightening the beds, I just close the door to any room I haven’t cleaned. That way the mess stays out of sight. Do you have any speed cleaning tips you use in your home?